A Washinton-based journalist's iPad get locked for half a century years & its not fake. It was literally locked for 48 years as his 3-year-old was trying to unlock the device with repeated wrong passwords. 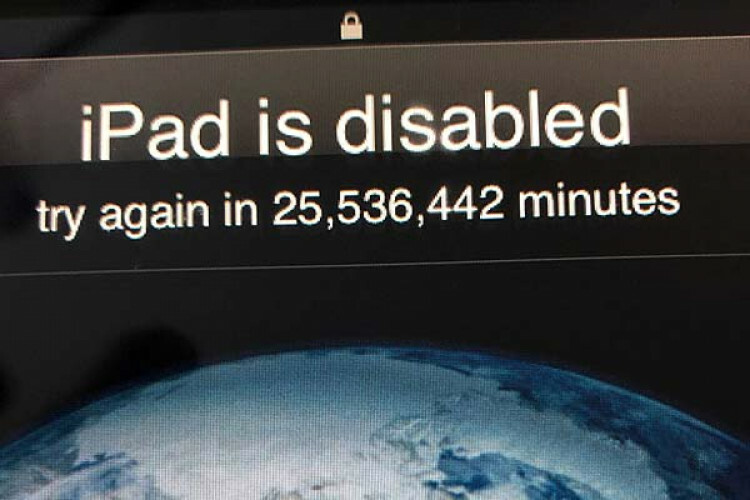 The prompt advised him to try again in 25,536,442 minutes, which comes out to 48.59 years, that is he could reaccess his iPad by late 2067. It was disabled for security reasons & any data that's not backed up will be lost.